The Eucharist is truly the body and blood of our Jesus Christ; he is really presence in the Eucharist. This has been a controversial issue for a long time in the history of Christianity. 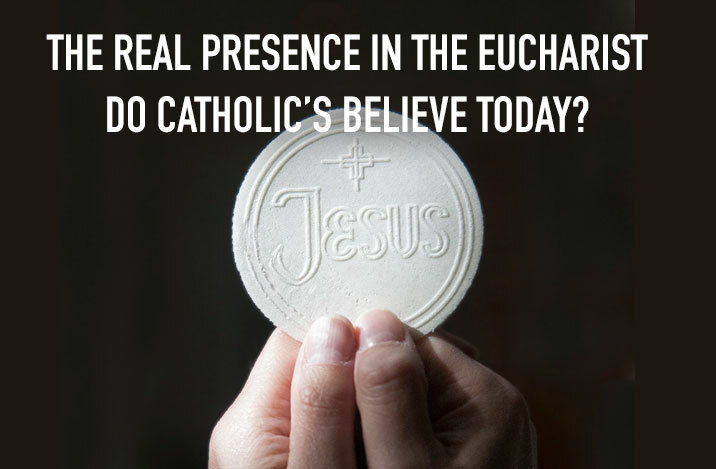 Orthodox Catholics have always believe in the real presence of Jesus in the Eucharist while some dissident Catholics and protestants denied it, arguing that it is merely a sign and not real presence of Jesus. The Catholic Church has base her position on biblical texts like the one we read today in the gospel passage. Jesus proclaimed himself to be the food of eternal life, that people must eat his body and drink his blood before they gain eternal life. His listeners were shocked, confused, and some disagreed with him and left him. They said, ‘’how can this man give us his flesh to eat?’’ And Jesus did not call them back to say he was joking or that it was only symbolic. Instead, he insisted that, ‘’if you do not eat his flesh and drink his blood, you will have no life in you. Anyone who does eat my flesh and drink my blood has eternal life, and I will raise him on the last day, for my flesh is real food and my blood is real drink.’’ Since Jesus did not changed his statement even when some of his listeners were leaving, it means he was not joking about it, take it or leave it. In Mt 26:26-28 Jesus said to his disciples: take and eat; this is my body. Then he took the cup and gave it to them and said take and drink from it, for this is my blood of the new covenant which will be shed for the forgiveness of sins. And he commanded his disciples to do this in memory of him. That is, he gave them power to make his body and blood present at the altar for the people as we do each time we celebrate mass. In Lk 24:30-34, Jesus was made known to the disciples at Emmaus at the breaking of bread, the Eucharist. Besides these texts, there are numerous Eucharistic miracles recorded in different parts of the world. Check these Eucharistic miracles even on the internet and will see what I am saying. Today, we have many people who protest and do not believe in the Eucharist and real presence of Jesus in it. If you do not believe in it, please you are not supposed to receive communion. Even if you believe, you must prepare yourself before you can receive, so that you do not take upon yourself judgment from God. 1Cor.11:23-29, talks about the consequences of receiving the body and blood of Christ without adequate preparation. Therefore, you must be under the state of grace, which means being without sin; believe in the real presence of Jesus in the Eucharist; believe and agree with the teaching of the Catholic Church; you must be in good standing with the Catholic Church, which means having the proper sacraments from the Catholic Church that qualifies you to receive. So, Protestants and those who have deviated from the teaching and practice of the Church are not allowed to receive, until they correct their mistakes and position with the Church. Receiving Holy Communion signifies our union with Christ and with one another as one body of Christ. So, you cannot protest or go against the body of Christ and still be in communion with her. You cannot receive what you do not believe in. That is a contradiction. I want you to ask yourself whether you are in communion with God and his church. Do you believe in the real presence of Christ in the Eucharist? Do you make adequate preparation before receiving communion? Do you believe in the teachings and practices of the church? What effort are you making to grow in union with God and his church? We take time to be with our friends and family members, which is a good thing to do, but have you thought of taking time to be with the Lord and his children, the family of God? (Such as attending the ACTS retreat, attending a religious formation class, and fellowship with any of our ministries) When last did you visit the Blessed Sacrament? Why are you not receiving communion? When are you going to get rid of that obstacle to enable you to start receiving communion? Why do you doubt the presence of Christ in the Eucharist and the teaching of the Church about it? Catholicism is the fullness of Christianity because it teaches and practices the complete truth about Christianity. I am proud to be a Catholic because I know I am in the true Church of Christ; the Church that teaches and practices the complete truth. To leave the Catholic Church to become protestant is leaving the full truth to accept only half truth. Only the Catholic Church practices the complete teaching of the Bible. Other Churches only pick and choose what they want to believe and leave the rest. I challenge you today to make effort to know the truth about your faith as a Catholic so that no one will mislead you to leave the full truth and go for half-truth. Make time to read the Bible and other Catholic literatures that will help you know the complete truth and stop listening to those who only know half of the truth. Food is a basic necessity in the lives of all living beings. Without food we will starve and eventually die. It is because of this reason that we work hard every day to get food to nourish our bodies. This food that we work so hard to get is only for our physical bodies. Last week, Jesus said we should not only work for perishable food, but for food that will last forever. That is, the bread of life, Jesus Christ himself. In the first reading of today, we saw how Elijah was the only one who stood by God and against the prophets of Baal in a contest on whose God is supreme. He won the contest, but had to flee because Ahab and Jezebel wanted to kill him after he had killed all the prophets of Baal. Elijah was lonely, isolated and hungry in the desert. But God provided food for him as he did to the people of Israel in the desert to enable him travel for forty days and forty nights to meet the Lord the mountain. The second reading gave us a list of behaviors that we must give up and behaviors that we must imbibe in order to be truly happy in life, namely: bitterness, fury, anger, shouting, malice, and jealousy must be removed in our lives; and be replaced with kindness, forgiveness and love for one another. The gospel is about Jesus telling the people that he is the bread of life, our spiritual food; food that gives us strength for our spiritual journey and enables us to overcome any challenges that we might encounter on the way. But the question is do we recognize him as the bread of life? How desperate are we for this spiritual food? What effort do we make to get this food? How often do we pray to God especial at difficult times? (Prayers such as: novena, rosary, adoration, meditation, divine mercy, psalms etc.). We spend plenty time preparing for our careers and other worldly things but how much time do we spend on spiritual things? (Say: the sacraments, worship, Bible reading, and ACTS retreats). When we are lonely, isolated, depressed like Elijah, what do we do? (For example, go take alcohol and drugs, clubbing and partying? ).We need to party with Jesus to obtain food for our spiritual life. We make a lot of effort to obtain food to sustain our physical lives, what effort are we making to sustain our spiritual lives? 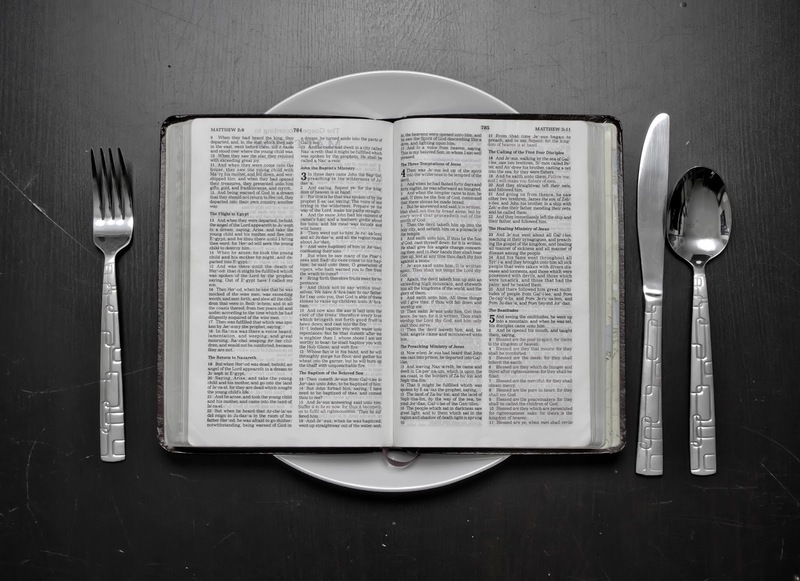 Why are you starving your spiritual life? What effort are you making to be in communion with God and his church? We need each other for mutual support, comfort and strength. Many people are afraid of opening up for fear of betrayal, loss of dignity, disrespect and all kinds of insecurity. We need to respond to the needs of one another by being empathetic, sympathetic, trust worthy, loving, caring and providing support to others. True peace and happiness can only be attend when we overcome our ego, resentment, selfishness, hatred, fears and open ourselves to God and one another. It is only by being in communion with God and his church that we can achieve true peace and love. The Bible says that God will protect us from all evil and provide for our needs, but only when we are in communion with him. Jesus said he came to give us life in full, but you must belong to his kingdom in order to graze and grow to your full potential in life. The Church is the kingdom of God on earth where we can graze and grow to full potential. The church provides you the right nourishment you need to grow well. If you are outside the church or not in communion with the Lord, you become a wanderer, dissatisfied, depressed, dejected, unhappy and restless person. Come to the Lord and he will feed you with real food and real drink to sustain your soul and get eternal life. Jesus said, ‘’Come to me all you who are weary and over burden in life and I will give you rest’’. Any one or family that is united with the Lord receives nourishment that makes them live in peace and without crisis or division. The church is our true home where we can get all the comfort, love, and peace that we need in this life. If you are not in communion with God and his church, you are homeless and you will have no peace. Some people ask me why I am happy and smiling always. My answer is- I am at home, in communion with God and his church; I have a good shepherd who feeds me with good food, protects me from all harm. So why should I be worried. I am happy not because I have plenty of money or the best car or best clothes or house. I am happy because I do not need to be perfect in order to be loved by a perfect God. Despite my imperfection he has called me to be his priest. That is the best gift and honor a man will ever receive from God. I am happy not because I have a well-paying job, but because I have been employed by God to work for him and to represent him, my creator. What a great privilege! The best moment in my life is when I am in the church celebrating the liturgy with the people of God. Standing at the pulpit to proclaim the word God, and at the altar to raise the chalice of salvation, gives me great joy and fulfillment. My source of joy is from God and his people. So, if you want to happy, be in communion with God and his people. And you will get all the nourishment and strength that you need to be happy in this life. Taste and see that Lord is truly good.